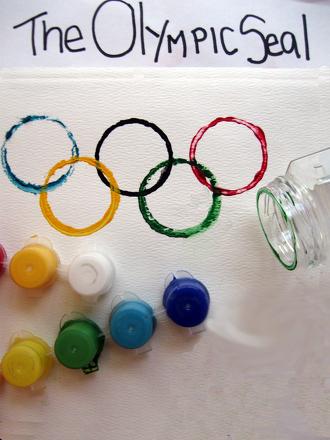 Prepare for the Olympics by helping your child create a colorful print inspired by the Games' iconic symbol, the Olympic rings. This famous symbol is comprised of five interlocking rings that represent the five continents (with North and South America counted as one continent). Created in 1912 by Baron Pierre de Coubertin, the founder of the modern Olympic movement, the Olympic rings are a celebrated symbol of athletic prowess and global community. 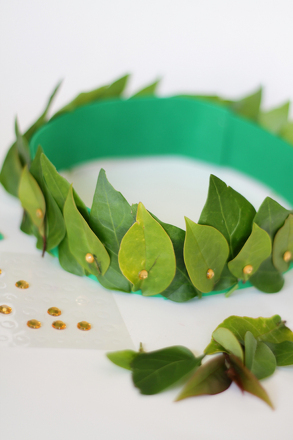 This activity encourages your child to explore the history of the Olympic Games in ancient and modern times as well as important art and design concepts such as shape, colour, and composition. As she works, your child will gain insight into the printmaking process and learn to think creatively. Discuss the Olympic Games with your child. Research ancient and modern-day Olympic history in books or online. Talk about what the rings symbolise and why they were created. Pour small puddles of each paint colour on the paint palette or washable tray, making sure not to mix them. Start with the blue ring. Ask your child to dip her cookie cutter (or other printing object) into the paint, then press onto the white paper to print. Repeat step 3 for the other colors, allowing your child to figure out how the rings should be placed and interlocked on her own. Keep the picture of the Olympic rings handy for your child to use as a guide. You can vary this activity by changing the size of your printing object. Use a larger coffee can or smaller cookie cutter to create dozens of prints from large to small. 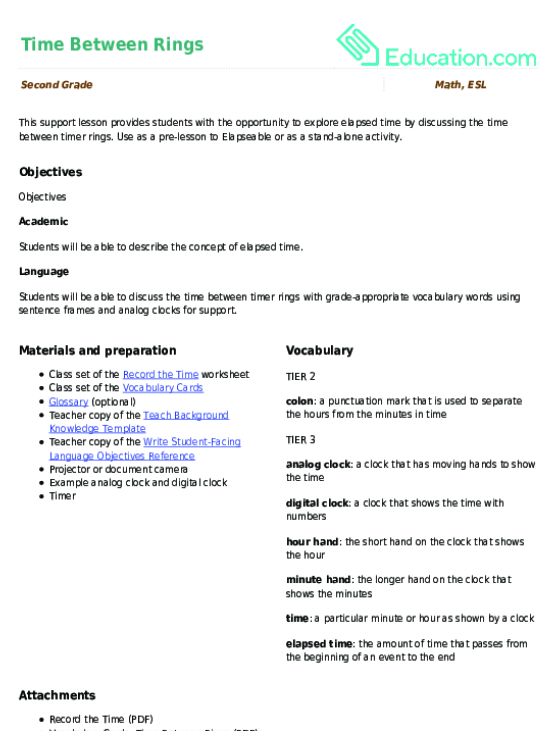 Use this glossary with the EL Support Lesson Plan: Time Between Rings. This worksheet gives a basic overview of tree rings for your little scientist. Use these vocabulary cards with the EL Support Lesson Plan: Time Between Rings. She'll complete the picture herself! He'll colour simple fractions in picture form. With this visual fraction worksheet, your child can see a few simple fractions in picture form.